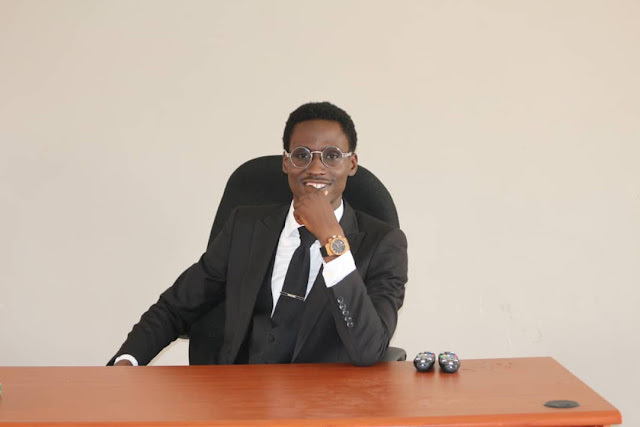 Recently, NELOC Media was with Mr. Tega Adedipe, the President of the Law Students' Association of Nigeria, (LAWSAN), Adeleke University Chapter. In this Interview, he reveals his personality amidst thoughts of the Nigerian Legal System and the future for Law Students. NELOC Media: Can we meet you? Tega Adedipe Lawaan: Good morning, I am Tegah Adedipe of the Elemo family of Akure land and I am also the president law students association of Nigeria Adeleke University chapter. I like to describe as a political and social enthusiast with the believe of better Nigeria which can only be achieved through hard work and diligence. NELOC Support: Alright. What level are you at the moment? Tega Adedipe: I am going to my final year, 500level. NELOC Media: How has politics and academics twined for you? Tega Adedipe: Honestly it hasn't been easy but we thank God. I know most people will like to hear that it has been going fine but the truth is in life anything you're passionate about and willing to attain the highest height in life has to stress you out unless you're just lazing around. In my perception I am doing well academically, but I want to be better and politically, well I am the President of a very prestigious faculty and I was the first director of socials. I am also very proud of the political height my faculty has attained in Adeleke University, this is because my brother and course mate is the SUG(AUSA) president, my brother and course mate is the SUG Vice president, my brother and course mate is the SUG General Secretary, my brother and course mate is the SUG treasurer. In a nutshell I believe politics is a way of life and way of thinking and not a game, that is why I look up to Abraham Lincoln. NELOC Support: Tell us about LAWSAN. What blueprint do you have for the next tenure? Tega Adedipe: My tenure is going to be a very thrilling one, the thought of it is exhilarating. As I speak to you, the blueprint of the whole tenure has been mapped out. From the administrative point of view, I have created a very amicable atmosphere between myself and my executives and also the parliament, we a raring to work. Also for administrative purposes we intend to inaugurate the Lawsan judiciary, the rejuvenation of the Lawsan AU chambers which will usher what is supposed to be an annual event the CHAMBER WEEK which will come up every first semester. Also to create a respect, structure and a means of identification, the three Lawsan arms will be wearing badges which will be passed down to our successors. I am strong believer in that saying "the way you dress is the way you are addressed", after much talk with the faculty management and the director of protocols, we intend to ensure full compliance with the dress code for law students and also find convenient dress code options. Talking about protocols, the Senate are working on a code of conduct. Talking about social activities, we have a lot of things coming up... Even in first semester that has been tagged as boring, we have a few activities coming up but I wouldn't want to expose our secrets, we want to be spontaneous and surprising to Lawsan Au partners but I will only announce that we would be searching for the face of Lawsan Au and it is a big deal this time around but in all LawsanAu is about to be a social hub. NELOC Media: What do you think of politics outside the university? Tega Adedipe: Politics outside the University? I am not a politician though... Rather I see myself as a change agent. I believe we as youths are charged with the responsibility of delivering a better future to the next generation. I am involved is the 67million initiative, the #MyVoteIsNotForSale campaign. As for a political party, I am still in search of a party who's ideologies align with mine. For now I'd rather just observe. NELOC Support: Beyond Adeleke University, do you intend to practice Law or follow some other path? Tega Adedipe: I am definitely going to practice. I love litigation. But the truth is I am also very interested in Digital Marketing and I intend to take a few courses in that regard while I register STAG INC, My Digital Marketing outfit. One thing is sure, I would practice full time while I have one or two businesses on the side. NELOC Media: How do you intend to make these programmes a necessity and appealing to students? Tega Adedipe: First of all the law students of Adeleke University are very cooperative and try to involve in the activities of the association, so it wouldn't be difficult. In the face of it most of the programmes are already very much appealing but it basically balls down to the content of the program itself and trust the Director of socials and his team to come up with a beautiful concept. NELOC Support: Alright. Let's see your personality. Are you in a relationship? Tega Adedipe: Yes! Yes I am. NELOC Media: What's your view on the Nigerian Not too young to run bill? NELOC Media: Do share with us, that one advice that motivates you. Tega Adediope: "A gem cannot be polished without friction, nor a man without trials" it is a Chinese proverb that my that always says to me in Yoruba. So in a nutshell I'd advise everyone to keep striving, keep working hard keeping pushing, success only comes after hard work. Be hardworking. NELOC Media: How have you approached change overtime? Tega Adedipe: Change is a constant. I have a strong believer in the process and not the result, that's why I easily adapt to change, I don't get complaisant rather I step up my game and adapt. NELOC Support: Did you contest unopposed? Tega Adedipe: Yes I did. NELOC Support: When you view the legal system as a student, what are your fears? What are your joys too? Tega Adedipe: The Nigerian legal system? Our legal system is a complex and phenomenal one. I fully trust in our legal system. My fears are the rigorous slow process and the possible corruption of the judiciary. I am happy about one thing and that is we can always trust the law to prevail. NELOC Support: Okay. Thank you for your answers so far. What's in the future? Where do you see yourself, five, ten years from now? Tega Adedipe: You're much welcome. In ten years? To be honest I move with God's grace and where ever I am in ten years will be by is grace. I will definitely be settled down and in practice, probably ceo of a company or something but like I said it's all God's grace. NELOC Mediat: In closure, what general words would you love to mention to our audience? A word to Lawsan AU? NELOC Support: Alright. While we bring our interview to a close, we say a big thank you again, Mr Tega. We wish you a fulfilling tenure too. Tega Adedipe: Alright. Thank you. Tega Adedipe, President, LAWSAN, Adeleke University. This president just dey burst my head.. . This is beautiful my able and amiable president. I pray and I am looking forward to seeing a successful and remarkable tenure. Team-work (one of your attributes) can act as catalyst for such a success. See you all at the TOP Adelekites. This is beautiful my able amd amiable president. Deep down I pray, hope and same time looking forward to seeing a successful and remarkable tenure. I must confess here LASAWN this year (your tenure) is filled with the best leaders in AU. A team work (one of your attributes) to this effect(success) would act as a catalyst. Greatest of the Greatest of the Greatest LAWSAN.